Larry Hatheway joined GAM Holding AG as group chief economist in 2015. Since September 2016, he has been group head of investment solutions and group chief economist, overseeing GAM's private clients, charities, multi asset and alternative investments solutions teams. Prior to joining the Group, he was managing director and chief economist at UBS Investment Bank. He was UBS’s global head of macro strategy from 2008 to 2012 and global head of asset allocation from 2000 to 2012. Larry was also UBS’s global head of fixed income and currency strategy. 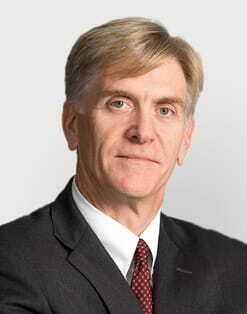 Before joining UBS in 1992, he held roles at the Federal Reserve, Citibank and Manufacturers Hanover Trust. Larry holds a PhD in economics from the University of Texas, an MA from the Johns Hopkins University, and a BA from Whitman College. He was born in 1958 and is a US and UK citizen. The asset allocation committee met to discuss the investment outlook for the second quarter of 2019. A summary of their key conclusions follows. Earlier this month the asset allocation committee met to discuss the investment outlook. Investor nerves are once again being tested by poor news. Tactically, we adopted a more cautious approach in mid-February, which we retain. Yet we also conclude that fundamentals are likely to improve, albeit not just yet. GAM Investments’ Larry Hatheway outlines his latest multi-asset views, discussing what comes next after January’s strong rally in global equity markets, where he sees opportunities in the market and the key implications for asset allocation going forward. Earlier this month the asset allocation committee met to discuss the investment outlook following the strong January equity market rally. The clear consensus was that it is time to scale back exposure to global equities, given the unsustainable bounce witnessed early this year. A brief summary follows. Larry Hatheway on Markets: a year of modest returns? GAM Investments’ Larry Hatheway outlines his latest multi-asset views, discussing whether we could be looking at a year of modest returns and higher volatility, how important non-directional strategies are likely to be and the risks to his base case. Earlier this month the asset allocation committee met to discuss the investment outlook for early 2019, following the market tumult of Q4 2018. A brief summary follows. We asked a number of our fund managers to consider why non-directional investment strategies might be of interest in a more challenging post-peak environment. In recent years I have penned a year-end holiday wish list. Occasionally, those wishes have materialised in the following 12 months. Often they have not. Either way, making wishes is an expression of hope. That is a worthy endeavour as one year draws to a close and we look forward to the next. In early December the asset allocation committee met amid recent market volatility to consider the outlook for 2019. A brief summary follows.